The New England Quilt Museum preserves, interprets, and celebrates American quilting past and present. Located in historic Lowell, Massachusetts, the heart of America's nineteenth century textile industry, the Museum offers changing exhibitions of contemporary, traditional and antique quilts. A private, non-profit corporation, the Museum is supported by members' dues, admission charges, museum store sales, private donations, and gifts and grants from foundations, corporations, and government agencies including the Lowell Cultural council (a local agency), the Massachusetts Cultural Council (a state agency), The Stevens Foundation , and The Theodore Edson Parker Foundation. The museum was founded by the New England Quilter's Guild which began in 1976 with a small group of women interested in the art of quilting. In 22 years, NEQG grew to a membership of over 1,000 with more than 60 chapters throughout the six New England states. 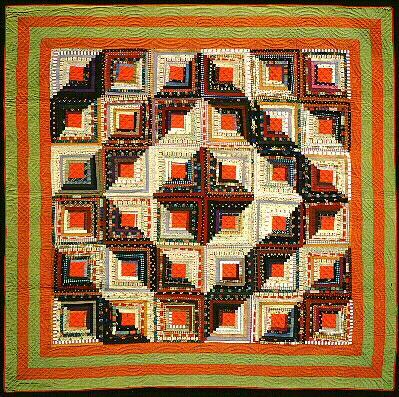 In 1980 NEQG voted to establish the New England Quilt Museum. Our first temporary homes were in the Market Mills complex near the Lowell National Historical Park and then in the Boott Mills Building. 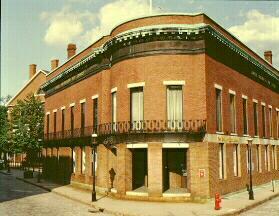 In July 1993, the museum purchased the Lowell Institution for Savings, a landmark savings bank building constructed in 1845 in downtown Lowell. The mortgage was retired in October 1998. At the same time, NEQG redefined their organization to become the Museum's Auxiliary. Their major focus will be to present the New England Images Quilt Show on August 17-20, 2000 in Lowell to benefit the museum. Through its exhibitions, programs, and technical assistance services, the museum provides inspiration, information and education. It is a resource for everyone who cares about quilting--from quilters, to collectors, to those who just love quilts. The museum presents an active program of changing exhibitions of both historic and contemporary quilt work. 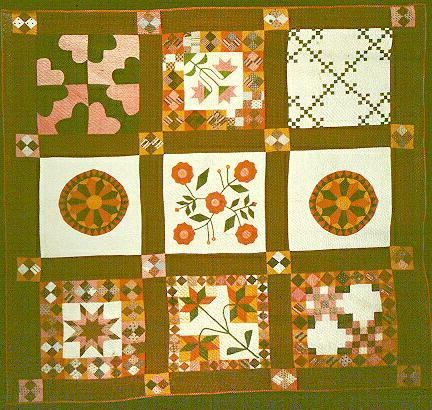 The museum also collects and cares for outstanding American quilts and contributes to research and documentation. Classes, lectures and workshops supplement the exhibits and educate the public of all ages in the art, history, making, and care of quilts. A reference library of books, periodicals, patterns, and slides is available for research and browsing. The museum shop offers a variety of books, magazines, postcards, posters and quilt-related gifts. 130 antique and contemporary quilts and quilt-related textiles. The Massachusetts Quilt Documentation Project is a non-profit organization dedicated to the identification and preservation of historic quilts in Massachusetts. It is the Project's goal to increase public awareness and appreciation of the significance of quilts in the lives of their makers, and as part of our cultural and artistic heritage. MASS QUILTS is a subsidiary of the New England Quilt Museum. Create a permanent record and complete database of quilts made in, or brought to Massachusetts. Increase public awareness of the significance of quilts. Place these quilts in historical context. Encourage the preservation of the Commonwealthís heritage by educating quilt owners to properly care for quilts. Share and disseminate knowledge gathered by the Project through exhibitions, publications, educational media and programs, and further research. Conduct a series of quilts documentation days in all Massachusetts counties and regions. Establish and maintain a computer database, documents and photographs accessible to quilt researchers, historians and others which will contain significant information about quilts and related textiles found in the project's documentation days. Produce, or license others to produce exhibitions and publications including, but not limited to, books, educational materials, pamphlets, slides, videotapes, computer disks and other appropriate media or materials. Support these objectives through grants, donations, fundraising and training qualified volunteers who can conduct quilt documentations. Massachusetts has begun their very own statewide quilt documentation project! The Project's goal is to reach every corner of the Bay State with local quilt documentation days over the next several years. We will share the findings with quilt lovers, researchers and the public through a traveling exhibition, book and electronic media. 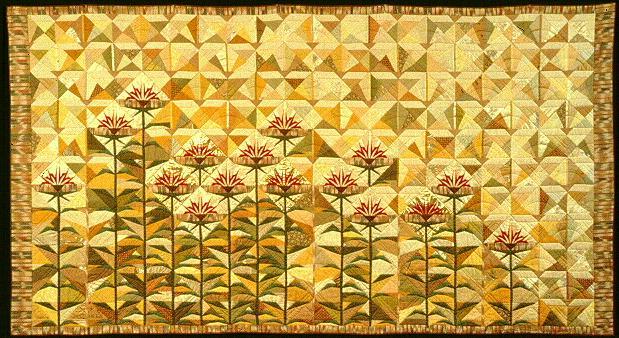 MASS QUILTS was formed in 1994 by a group of interested volunteers. We would gratefully welcome your support and contributions to this historical project. In the past, funding has come from the generosity of The New England Quilt Guild and Hands Across The Valley Quilt Guild. MASS QUILTS began documentation efforts in 1995, but we need your help in order to continue this important historical preservation project. We're looking for financial support and energetic volunteers who can help us discover, document and catalogue our state's fascinating quilt heritage. At the top of the staircase or elevator, one large central space on the second floor and four surrounding smaller rooms house the rotating exhibits. The three smallest rooms are decorated as period bedrooms to showcase part of the Museum's permanent collection of antique quilts and related textile art. These might include a crazy quilt, patchwork, or applique quilts from different periods in American history. Some of the antique furniture in these rooms is on loan from local antique shops. On the second floor, the Library is open whenever volunteers are available to assist visitors. Built entirely of donated materials, it houses what may be the largest collection of quilt books, periodicals, patterns and other research materials in the country. One computer is available for use as a card catalog and another showcases Quilt Design software donated for our visitors' enjoyment. Individual quilters and guilds can send materials to the Museum Library when they are no longer being used. One copy of each title is kept in the reference collection and duplicate copies are available for circulation to New England Quilt Museum Members. Copies of materials donated in excess of our needs are available for purchase at "yard sale" prices to cover library expenses. On the second floor, 2 classrooms are available for workshops scheduled by the museum or local quilting guilds. In the ground floor lobby, visitors may buy post cards, quilt books, wearable art, jewelry, decorative accessories, toys, hand-dyed fabric, quilts, and other gift items. The remainder of the ground floor houses museum staff offices and storage. December through April the Museum is open Tuesday through Saturday 10-4. May through November the Museum is open Tuesday through Saturday 10-4, and Sunday 12-4. The main gallery is closed between exhibitions. The Museum is closed on major holidays. By car: From either Route 495 (Exit 35C), or Route 3 (exit 30N Northbound or 30A Southbound) take the Lowell Connector about 2 miles to Thorndike Street (Exit 5B). Go to the 4th light on Thorndike Street and turn right onto Dutton Street. Go to the 2nd light and turn right onto Market Street. Parking is available in the municipal garage on Market Street just one block from the museum or at meters on the street in the neighborhood. A parking lot behind the museum, reached by turning left half way down Palmer Street onto Middle Street, is available for free parking on weekends only. To drive all the way to our door, drive around the block on one-way streets. Go to the next light and turn left onto Palmer Street. Go to the next light and turn left onto Merrimack Street. Go to the next corner and turn left onto Shattuck Street. The Museum is the second building on the left on the corner of Shattuck St. and Middle St. See map on our web page. For information about restaurants, lodging, and other area attractions, contact the Greater Merrimack Valley Convention & Visitor's Bureau, right across the street. The Market Mills Visitor Center, home of the Lowell National Historical Park, is just one block from the Museum. Follow their brown and white "Lowell National and State Park" signs. Other museums within walking distance include the American Textile History Museum on Dutton Street and the Sports Museum of New England on Shattuck Street. By train: Commuter rail service is available from Boston's North Station to Lowell's Gallagher Terminal. Lowell Regional Transit Authority shuttles run between Gallagher Terminal and downtown Lowell every half hour. Monday through Friday, 6:00 a.m. to 6:00 p.m.; Saturday 10:00 a.m. to 4:00 p.m.
Handicap access: The building is entirely accessible with parking behind the museum. $4 for seniors and students. Two-for-one discount for WGBH members.